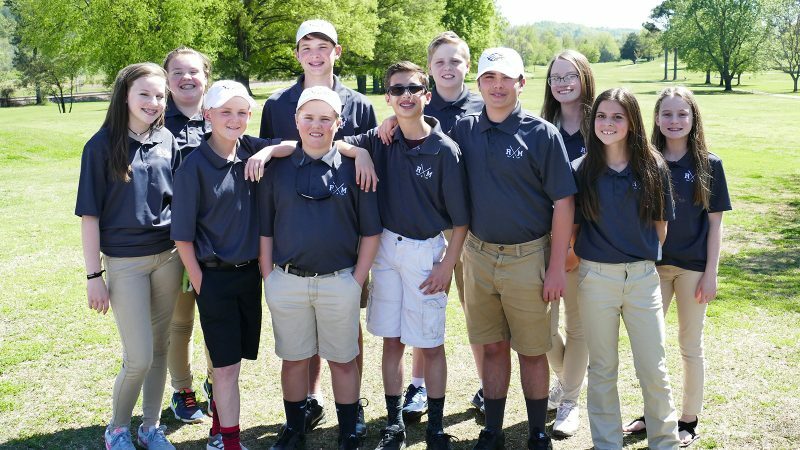 Cleveland, TN — The Rhea Middle boys and girls golf teams participated in the Cleveland area District Tournament held at Cleveland Country Club on Monday, May 7. The girls played 9 holes while the boys played 18 holes. The girls team placed second in the tournament behind Cleveland Middle (95) with a score of 115. . Becca Rogers shot a 54 while Kady Jenkins added a score of 61. Due to the number of girls teams, only one team got to advance to Regions (Cleveland Middle), but Rhea’s Becca Rogers did qualify to go to the Regional Tournament as an individual golfer. On the boys side, two teams advance to Regions. Lake Forest Middle won with a score of 397. Rhea Middle posted a 2nd place team score of 413, paced by Matthew Rothwell’s round of 83, good enough to win low-round medalist honors. The rest of team did their part as Owen McCosh, Blake Wheat, and Reagan Hinds shot a 107, 111, and 112, respectively. Rogers, Rothwell, McCosh, Wheat, Hinds, and Nolan Purser will all play in the Region Tournament held at Champion’s Run Golf Course just outside Murfreesboro, TN on May 14-15. All players will play 36 holes over two days. This is the highest level of competition in the TMSGA for middle school. Congratulations to Rhea Middle’s golfers and good luck at Regions! Article by Bill Chattin, Rhea Middle Golf Coach.